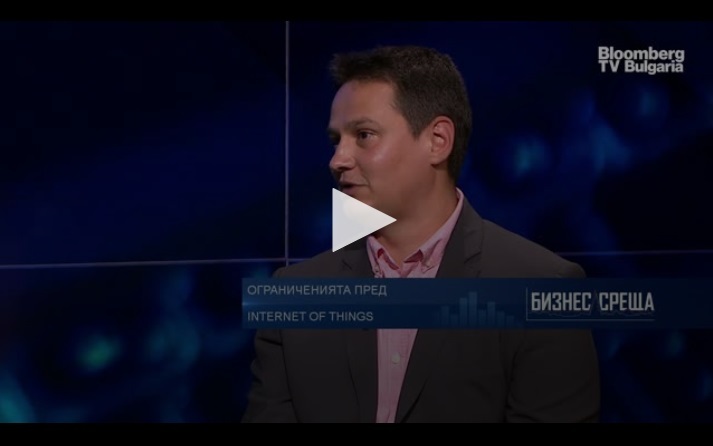 The above is part from the recent interview of IndigoVerge co-founder Ivan Dragoev for Bloomberg TV. In it, he showed confidence that in the recent years, the business is becoming more and more mature for the concept of Internet of Things. How far could the Internet of Things expand and what limitations might be expected for it? At first glimpse, it seems like IoT helps to automate the routine, repetitive tasks in business, like gathering of information for example. Imagine you are a machine manufacturer selling your produce all over the world. Imminently you are part of the communication chain manufacturer – dealer – client. If anything happens to the machine, the feedback would come back along the same chain client – dealer – yourself. But, if your machine does not perform as expected, you might not even get to know about this in a proper way, since part of the information will be withheld by the dealer. Whatever information reached you, it would neither be timely, nor exact. And this is, as a matter of fact, a big issue for you – you will keep working on bringing out new machines to the market, without having the chance to get feedback on your existing machines performance and eliminate whatever problems were reported, in your new machines. But, if you have timely, real-time access to your machine performance data, you will certainly be able to offer your customers higher-quality, improved machines. So, we see that even this tiny aspect of Internet of Things is able to change what the future looks like and it is in the near future that the big IoT-propelled changes would become visible. In the future, each machine will be connected, each manufacturing unit will be connected and before long, all manufacturing units worldwide will be connected between each other. The human-human communication will be replaced by machine-machine communication. But of course, in terms of creativity, the humans can never be replaced by machines.